It’s mid-March, which means spring is here! At last. And if you'll pardon the pun, at Crate.io, we are springing into action, heading out into the world, and getting ready to what's there! We're on a mission to evangelize the wonders of new distributed SQL database technology and the cool things IoT developers are doing with it. To that end, we've been traveling around to meet as many of you as possible. 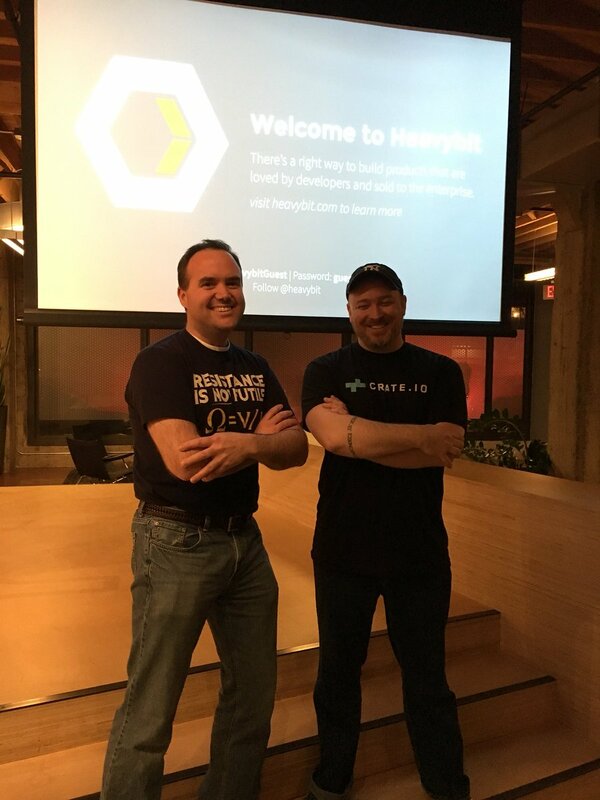 We started with a meetup in San Francisco where our own PJ Hagerty was joined by Engine Yard’s Tyler Poland to talk machine data and databases, followed by a post-meetup karaoke party! We followed this up with a pre-Strata event featuring special guest, Josh Holmes of Microsoft! A great discussion about AI, machine learning, and deep learning in San Jose lead right into our time on the floor at Strata where we met many existing Crate.io customers and talked CrateDB with as many attendees as we could. In March and April we are flying all over the globe! And we want to meet you! So check out the following events and come along if you can. CollisionConf - New Orleans, LA - April 30 to May 5 - PJ will be presenting, speaking on panels, and hosting the BinateIO (Data) and FullSTK (Developer) stages. We are constantly improving on CrateDB. And part of that means growing the community around CrateDB. This month, I am happy to announce that Brian Ploetz joined us as a community contributor! And we are super excited to have him with us! We just released CrateDB 2.3.5, and I'll post about what's new in this release tomorrow. Look forward to more on joins in the next release. Keep an eye on the blog for updates. Our team is busy at work making the best open source distributed SQL database in the world. And we can't wait to share it with you.